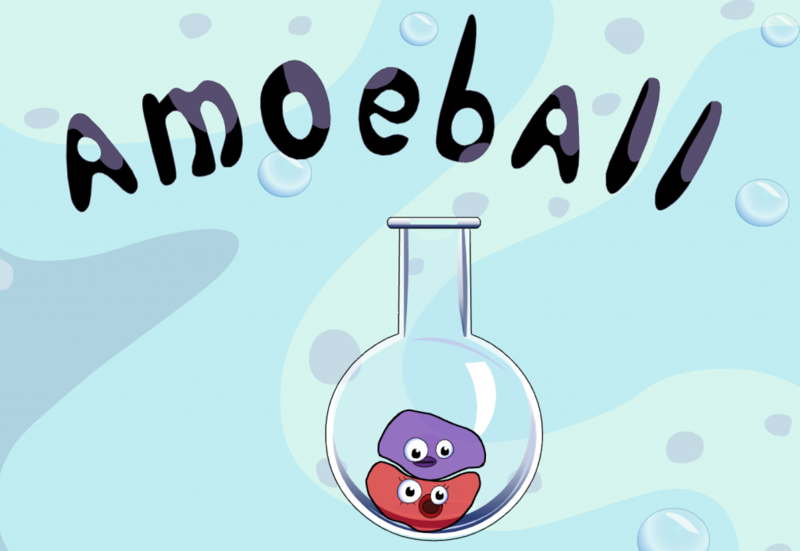 Cute and silly arcade game where one demented amoeba has to chase another, absorb balls and fiercely spit them into the opponent. Simple controls, colorful graphics, squishy physics, and short, hot rounds define the gameplay. You can play yourself against computer, or compete against another person on the same machine (sharing the keyboard or using a joypad). Several weirdly funny characters, as well as a few levels are there for your enjoyment. Screenshots, videos and the actual game: amoeball.com. Squishy characters driven by soft body physics. No violence, only micro-scale sport. We want to make a tablet-friendly single-player version of this game. Subscribe to our newsletter to encourage us!